Produktinformationen "Mimosa N5-360 4 Port 360º Beamforming Antenna für A5 Acces Points"
Introducing the industrys first 4-port, beamforming, 360º antenna specifically designed exclusively for Mimosas A5c access point. 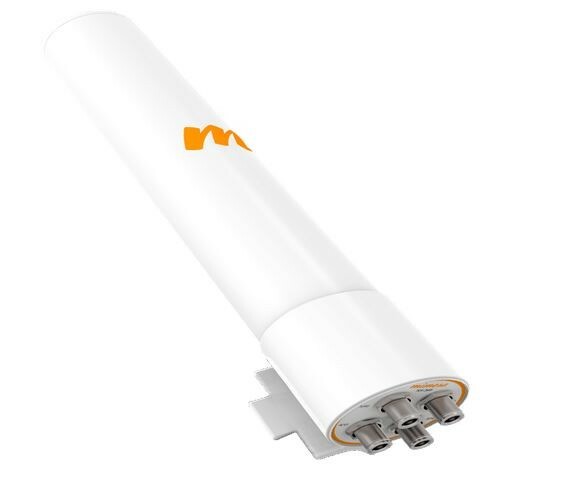 The N5-360 antennas unique design incorporates quad-180º overlapping antenna polarizations, doubling the coverage of Mimosa MicroPoP deployments with 3 dB of beamforming gain. The N5-360 boosts throughput by providing balanced dual-stream coverage over 360º of azimuth. Without sacrificing performance, the N5-360 operates over a wide frequency range, from 4.9 to 6.4 GHz, supporting licensed public safety bands and other expanded frequencies, where permitted by region. Weiterführende Links zu "Mimosa N5-360 4 Port 360º Beamforming Antenna für A5 Acces Points"